“If food waste were a country, it would be the world’s third-largest emitter of CO2, after China and the United States. In our nation alone, we throw away 63 million tons of food a year, even as 40 million Americans are considered food insecure,” states a recent article in the Washington Post. It’s a dramatic opening to an article with an intriguing premise – and definitely worth reading. The writer, Sarah Taber, contends the “ugly food” movement is not solving a problem. She says farmers don’t waste ugly food because their profit margins are thin (and I do agree that farmers work very hard for very little profit, which is why they are my heroes,) and that packinghouses toss very little ugly produce because produce is graded out as seconds or as suitable for processing into chips, dips, sauces, and jams. Taber states that homes and “consumer facing” industries such as grocery stores and food service waste four times as much food as is tossed in the packinghouse. While I believe consumers and grocery stores need to do a much better job dealing with food waste (and you’re welcome to come over for some of my “glean the crisper” curry someday,) her argument doesn’t really stand up the reality that I see on the ground each harvest season. Our farmers do indeed work with razor-thin margins. Each inopportune rain or rejected load of tomatoes is a blow to their bottom lines. But these farmers also know that a lot of very good produce often gets left behind. That’s why they call us. Sure, it all can get plowed back in to help the soil for the next crop. 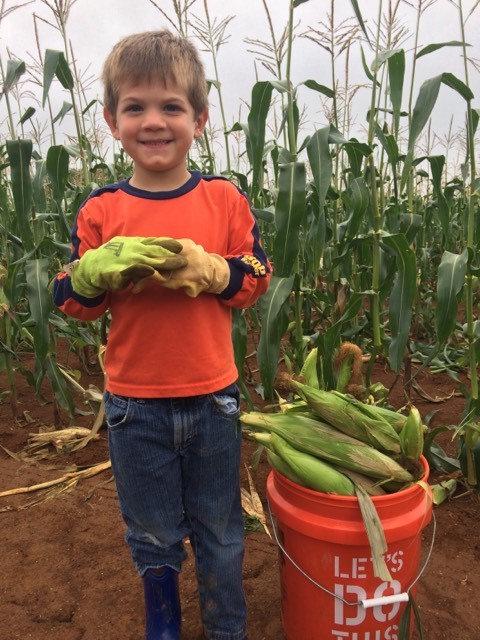 But that ton of tomatoes or two tons of corn that we pull out before they disc up the field isn’t going to make much difference to soil health, and will make a huge difference to the food-insecure neighbors we feed. Last summer, in the Charlotte, North Carolina area where I work, we moved more than 120,000 pounds of watermelons. Those watermelons were perfectly good but had shifted in transit, were the wrong size for the grocery stores’ advertised sales, or were simply over-shipments. Often, those melons do indeed end up in landfills because the truckers are under pressure to get to their next load quickly. We are truly lucky to have a distributor willing to hold them while we find drivers to pick them up. Do we, as consumers, need to do better, buy less, make more intelligent purchases, and use what we buy? Of course! Do grocery stores need to educate themselves on the Bill Emerson Good Samaritan Act and know that there is no legal liability in donated food? Yes! But there are plenty of spots all the way through the food system where food is wasted. Let’s work together to save as much as we can, wherever we can! 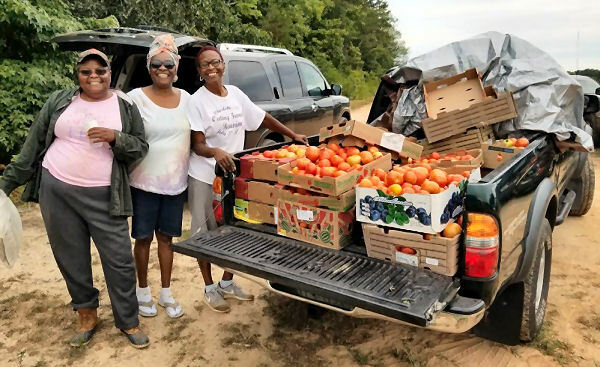 * Jean Blish Siers is SoSA’s gleaning coordinator for the Charlotte, North Carolina area. Got it -- thanks for subscribing! Check your inbox or spam folder to confirm your subscription. What Do They Eat on Tuesday?